Pop quiz: How often should you brush your dog’s teeth? And how the heck do you do it well? Have you ever tried to brush your dog’s teeth and ended up fighting a losing battle? Even given up? Some of us have even tried using tactics like beef flavored toothpaste (so gross!) to try to help make fighting plaque a little easier. Seriously though, as you’ll hear in this video, having a dog with nasty teeth can cause health problems, and not just in their mouth. The bacteria that builds up can travel to other parts of their body and cause infections and illnesses. 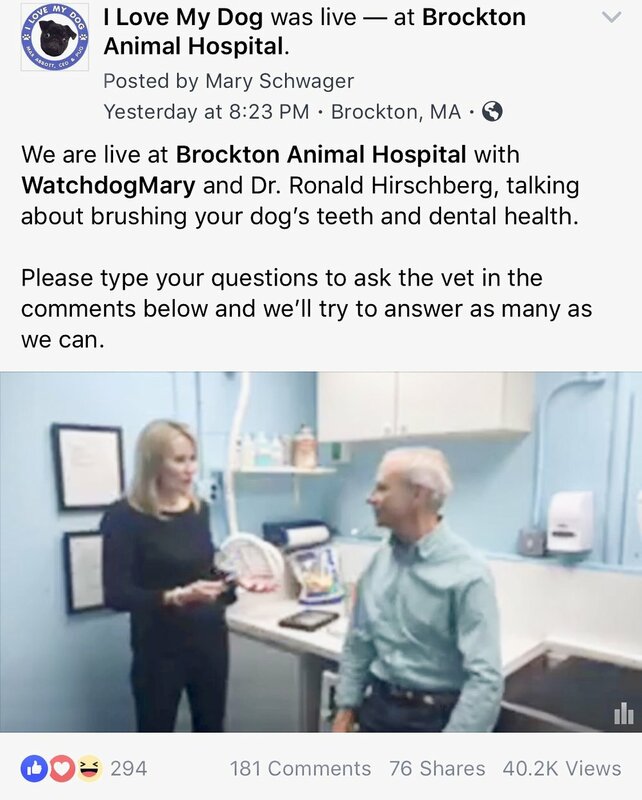 The video gives some good tips on how often to brush, how to brush without a battle and how it can help your pet’s health.